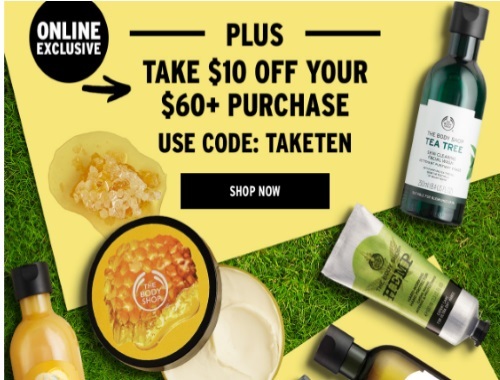 The Body Shop is offering 30% off sitewide right now plus you can get $10 off your purchase $60 or more online! Enter the promo code TAKETEN at checkout. Offer is valid March 23-26, 2018.